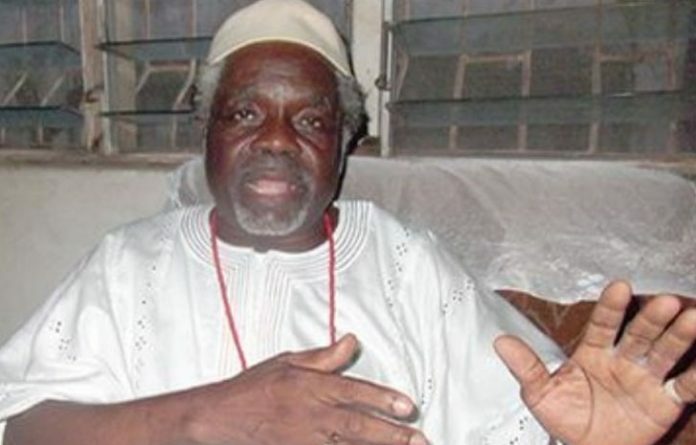 Ibadan – Dr. Olapade Agoro, founder and former presidential candidate of the National Action Council (NAC), has written a protest letter to the Inspector General of Police, Muhammed Adamu, asking him to unravel the aims and intentions of those behind the nomination of Rev. King Ezeuko Emeka, as the presidential candidate of the party for the 2019 election. Agoro, who was NAC’s presidential candidate in the 2003 and 2007 general elections, also wrote a similar protest letter to the chairman of the Independent National Electoral Commission (INEC), Professor Mahmood, asking the INEC boss to take urgent to ensure that Rev. King was not presented as the party’s candidate for the February 16 poll. Yemi Ayanlade, NAC’s National Secretary, had recently in a newspaper report confirmed Rev. King as the authentic presidential candidate of the political party. Rev. King, the General Overseer of Christian Praying Ministry, Lagos, was sentenced to death by Lagos High Court on January 11, 2007 for the murder of one Ann Uzoh, and the death sentence was affirmed by an unanimous judgement of the Supreme Court three years ago. But in reaction to this development, the former NAC presidential candidate wrote separate protest letters to both the IGP and INEC Chairman, asking the duo to take necessary actions on the issue. Agoro in the letter dated February 2, 2019, written to Yakubu stated that, “in the light of the important relativity of the subject matter to our national concern, this is please hereby demanding your urgent action and reaction to the issues raised in my letter”. He threatened to approach the court for the legal interpretation of King’s nomination, if the INEC boss failed to act on the letter within three days. Also, in the letter written to the IGP, the former NAC presidential candidate asked the police boss to deploy his experience to the task of unraveling the criminal aims and intentions of those behind the nomination of a man already sentenced to death as a Presidential candidate. The latter dated February 2, 2019 reads In part: “IGP, sir, it will interest your good self to know that I am the founder, national chairman and former presidential candidate of National Action Council, but had some political tricksters and fraudsters capitalizing on a ruse judgement obtained fraudulently deceiving the unsuspecting public, part of which the issue of Rev. King is”. Nothing we no go hear in this country. Imagine Rev king that have been sentenced to death being presented as presidential candidate?